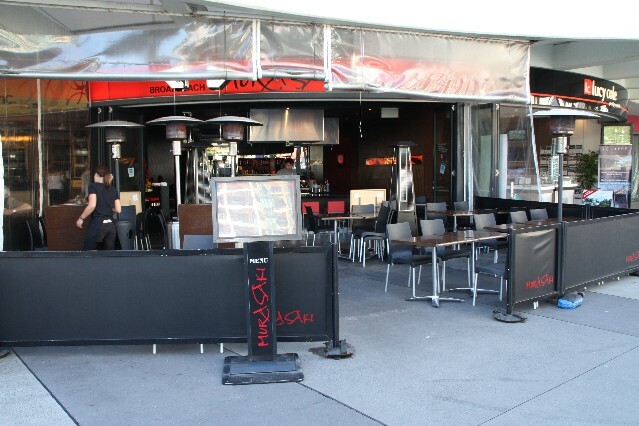 This page contains a list of Restaurants in Broadbeach on the Gold Coast, Queensland Australia. 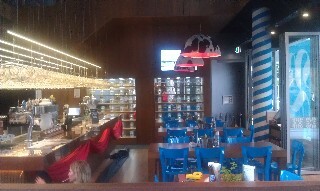 Bavarian Bier Cafe 2 Oracle Boulevard Broadbeach Gold Coast Ph: (07) 5512 0555.Open 7 days a week 7am till midnight. 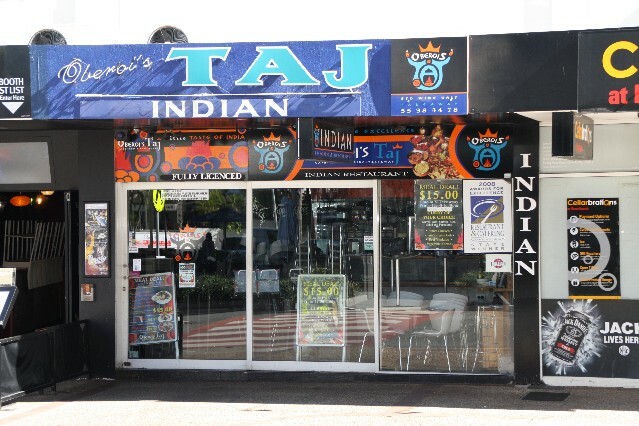 Oberoi's Taj Indian Restaurant (reviews) 6/88 Surf Pde Broadbeach Ph: (07) 5538 3478. Open 7 days a week for lunch from 12pm - 3pm and dinner 5.30pm - 11pm. For restaurant reviews for Oberoi's Taj Indian Restaurant click here. 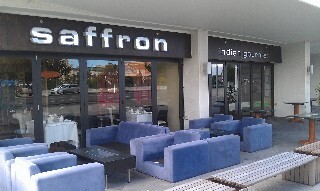 Saffron Indian Gourmet Restaurant (reviews) 2/2769 Gold Coast Hwy Broadbeach Gold Coast Ph: (07) 5538 9291. Open for lunch and dinner 7 days a week. For more information and restaurant reviews for Saffron Indian Gourmet Restaurant click here. 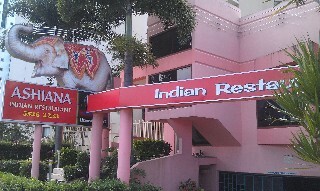 Ashiana Indian Restaurant (reviews) 2657 Gold Coast Hwy Broadbeach Gold Coast Ph: (07) 5526 2233. Open for lunch on Sat & Sat. Open for dinner 7 nights a week. For more information and restaurant reviews for Ashiana Indian Restaurant click here. Murasaki Japanese Restaurant (reviews) 11/91 Surf Pde Broadbeach Ph: (07) 5538 8918. Open 7 days a week for lunch from 11am - 3pm and dinner from 5pm - 10pm. For restaurant reviews for Murasaki Japanese Restaurant click here. 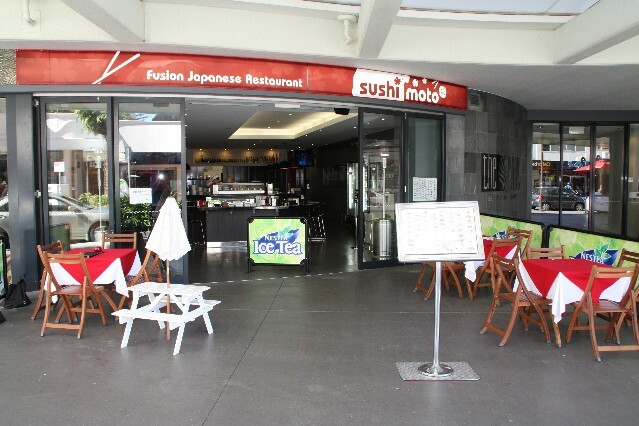 Sushi Moto Fusion Japanese Restaurant (reviews) 89-91 Surf Pde Broadbeach Ph: (07) 5592 3322. Open for lunch and dinner 7 days a week. For restaurant reviews for Sushi Moto Fusion Japanese Restaurant click here. 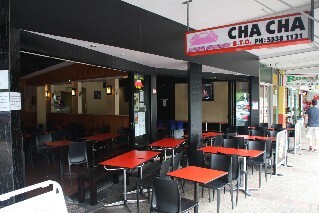 Cha Cha Japanese Restaurant (reviews) 6/2705 Gold Coast Hwy Broadbeach Ph: 5538 1131. Open for lunch and dinner Tuesday to Sunday. Close on Monday. For more information and restaurant reviews for Cha Cha Japanese Restaurant click here. Ten Japanese Restaurant 2669 - 2679 Gold Coast Hwy Broadbeach Ph: (07) 5570 1010. Open for lunch Thurs - Sat from 12 noon. Open for dinner Tues - Sat from 6pm. Serves Kaiseki (Japanese 9 course meal), Sushi and teppanyaki. 'Ten' means heaven in Japanese. Donto Sapporo Japanese Restaurant 2763 Gold Coast Hwy Broadbeach Ph: (07) 5539 9933. Established since 1990. Open for lunch and dinner Thursday to Tuesday. With traditional Tatami rooms, with sunken tables. Hanabi Japanese Restaurant 6/2723 Gold Coast Hwy Broadbeach Ph: (07) 5504 7810. 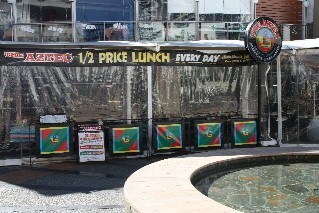 The Aztec Mexican Restaurant (reviews) Victoria Ave Broadbeach Ph: (07) 5538 8477. Open 7 days a week for lunch from 12pm - 3pm and dinner 6pm - 10pm. For restaurant reviews for The Aztec Mexican Restaurant click here. 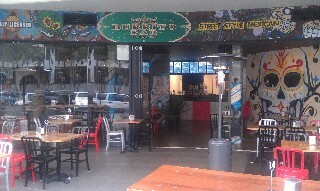 The Burrito Bar Mexican Food Victoria Ave Broadbeach Gold Coast. Street style Mexican food - burritos, tacos. 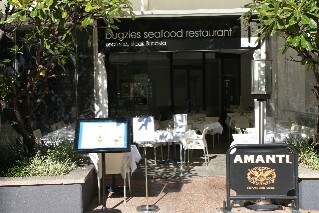 Bugzies Seafood Restaurant (reviews) 52 Victoria Avenue Broadbeach Gold Coast Ph: (07) 5527 5702. Serving seafood, steak and pasta. Open 7 days a week from 11.30am till late. For restaurant reviews for Bugzies Seafood Restaurant click here. 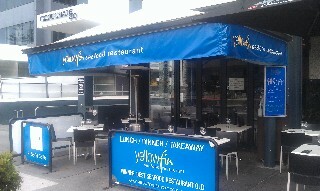 Yellowfin Seafood Restaurant (reviews) 6/20 Queensland Ave Broadbeach Gold Coast Ph: (07) 5504 5335. Open for lunch and dinner 7 days a week. 12pm - late. 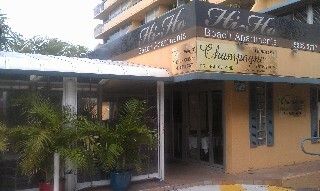 Licensed and BYO restaurant (BYO wine only). For more information and restaurant reviews for Yellowfin Seafood Restaurant click here. RockSalt Modern Dining Shop 12 The Aria Building Albert Ave Broadbeach Gold Coast Ph: (07) 5570 6076. Open for lunch and dinner 7 days per week. Lunch from 11.30am. Dinner 5.30pm - late. 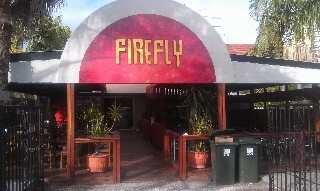 Firefly Churrascaria Grill & Bar Brazilian Restaurant (6 reviews) 2739 Gold Coast Hwy Broadbeach Ph: (07) 5539 8600. Open 7 days a week for lunch and dinner. For more information and restaurant reviews for Firefly Churrascaria Grill & Bar click here. Ming Palace Chinese Seafood Restaurant (1 review) Victoria Square Shop 21 Victoria Avenue Broadbeach Gold Coast Ph: (07) 5592 3811. Open 7 days a week for lunch and Yum Cha from 10.30am - 3pm and dinner 5.30pm to late. For restaurant reviews for Ming Palace Chinese Seafood Restaurant click here. 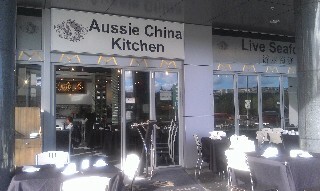 Aussie China Kitchen Chinese Restaurant (reviews) 5/2669 Gold Coast Hwy Broadbeach Gold Coast Ph: (07) 5526 8328. Open for lunch and dinner 7 days a week. Serving Yum Cha daily and a select of live seafood. For more information and restaurants reviews for Aussie China Kitchen click here. Champagne Brasserie French Restaurant (reviews) 2 Queensland Ave Broadbeach Gold Coast Ph: (07) 5538 3877. Open for lunch Tues - Fri and dinner Tues - Sat. For more information and restaurant reviews for Champagne Brasserie French Restaurant click here. 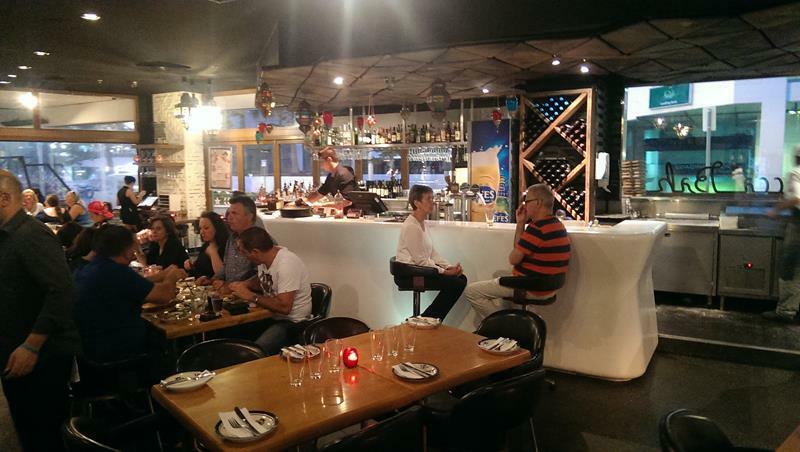 Bistro Blanc French Restaurant 3/72 Surf Parade Broadbeach Gold Coast Ph: (07) 5539 0085. Fine dining licensed restaurant. 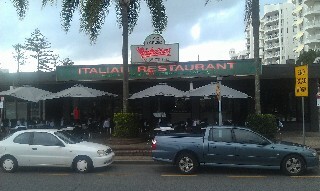 Mario's Italian Restaurant & Pizzeria (reviews) The Oasis Shopping Centre Broadbeach Mall Broadbeach Ph: (07) 5592 1899. Open 7 days a week for lunch and dinner. For restaurant reviews for Mario's Italian Restuarant click here. 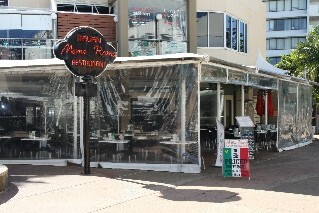 Mama Roma Italian Restaurant (reviews) Victoria Square Broadbeach Gold Coast Ph: (07) 5526 8856. Open 7 days a week from 11.30am to late. Closed Xmas Day. For restaurant reviews for Mama Roma Italian Restaurant click here. 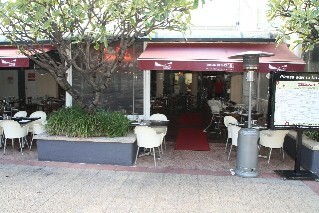 Valentino's Italian Restaurant (reviews) 29a Victoria Ave Broadbeach Ph: (07) 5570 1030. Open for lunch and dinner 7 days a week. For more information and restaurant reviews click here. Mecca Bah Restaurant(1 review) North African and Middle Eastern food 3 Oracle Boulevard Broadbeach Gold Coast Monday to Sunday 11AM till late. For restaurant reviews for Mecca Bah Restaurant click here. 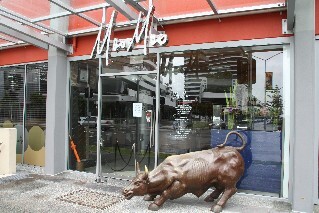 Moo Moo Wine Bar Grill Restaurant (3 reviews) 2685 Gold Coast Hwy Broadbeach Ph: (07) 5539 9952. Open 7 days a week for lunch from 12pm and dinner from 6pm. For more details and restaurant reviews for Moo Moo Wine Bar Grill click here. 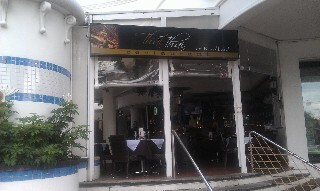 Thai Thai on Broadbeach Restaurant (reviews) 110/90 Surf Parade Broadbeach Gold Coast Ph: (07) 5538 6694. Open for lunch and dinner 7 days a week. 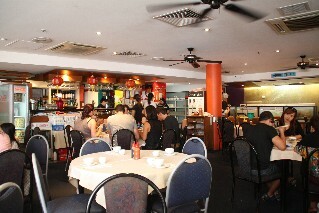 O Me Ly Vietnamese Restaurant 24 Queensland Ave Broadbeach Ph: (07) 5527 6287.